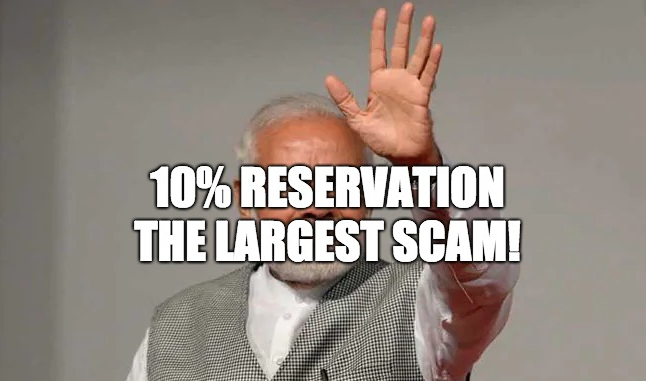 The BJP government under the leadership of Prime Minister Narendra Modi introduced a bill to give 10% reservation to the economically poor that fall within the General category. This group had not received any reservation benefits until now, but would become eligible for reservation with the passage of the bill in both houses of Parliament on 9th January 2019. As soon as it was introduced, it was hailed by BJP supporters as a major reform in introducing economic justice into a system that had previously depended on social backwardness (defined by caste) to determine people’s eligibility for reservation. Even the opposition supported the bill, restricting its criticism to the specific criteria laid down to determine economic backwardness, to the fact that there aren’t enough new jobs being created, or to the fact that it could be struck down by the Supreme Court and was only a political gimmick. All three are valid criticisms, but they miss a much larger, fatal flaw in this new reservation. The eligibility criteria selected — an income less than 8 lakhs per annum, less than 5 acres of agricultural land and a residential plot below a certain area made over 80% of the general category population eligible for the reservation, making it useless in effect. Since the economically poor segment identified under this criteria already has a representation of over 10% in educational institutions and government jobs, there would be no logical reason for the cutoff of this reserved category to be any different from the cutoff for the general category itself. The other criticism leveled by the opposition is based on the fact that in its 1992 judgment on the Indira Sawhney case a nine-judge Constitution Bench of the Supreme Court ruled such reservation invalid. The bench categorically ruled that backward class cannot be determined exclusively on the basis of economic criterion, and that economic factors could only be used in addition to social backwardness. More importantly, the judgment also limited the maximum possible reserved seats to 50 per cent. If this new 10% reservation is enacted it would violate that limit and take the total number of reserved seats to 59.5 per cent. In the best case scenario for the general category, the reservation will be struck down by the Supreme Court and nothing will change. In that case it is only one more jumla by Prime Minister Narendra Modi. In the worst case, the reservation will actually be upheld and the 50% ceiling placed in 1992 by the Supreme Court will be broken. According to estimates, 20% of the Indian population belongs to the Scheduled Caste; 9% belongs to the Scheduled Tribe; and 41% belongs to the Other Backward Classes category. This means that about 70% of the population belongs to a currently reserved category while 30% falls in the general category. The reservation available in educational institutions and government jobs for the 70% population belonging to the reserved categories is at 49.5% due to the court orders, and the system maintains fairness by allowing those from the reserved categories to get seats from the general category if they meet the cut offs. Therefore the 30% general category population of India is eligible to compete for 50% of the vacancies and seats, while the reserved categories compete for these 50%, plus the percentage of seats in their own category (i.e. Scheduled Castes currently compete for 50% + 15% = 65% of the total seats, OBCs compete for 50% + 27% = 77%). As soon as the ceiling is broken, some politician will realize the political benefit of proposing a hike in seats for the reserved categories. A politician will tell the reserved categories that they’re getting far less than their fair share. The politician will make all people belonging to the reserved categories feel like victims and state that they must demand reservation at least equal to their share in the population. He’d claim that OBC reservation should be 41%, not the current 27%. SC reservation should be 20% instead of the current 15% and ST reservation should be 9% instead of 7.5%. This would obviously get this politician tremendous support from all these categories — SC, ST and OBC — and consequently a lot of votes. The reserved categories are 70% of the population, and therefore they’re also 70% of the voters! The only thing stopping this scenario is the 50% limit imposed by the Supreme Court, and our Prime Minister, Shri Narendra Modi, is trying to demolish that limit with a move he’s sold to the nation as being a majorly positive one for the general category. In essence, the removal of this limit will all but ensure that the number of seats that a person belonging to the General Category is able to compete for is reduced from the current 50% to 30%. This move by the PM almost guarantees that seats available for the general category will decrease by 20%, if not immediately then in 5 to 10 years. Will a 10% reservation on economic grounds still seem like a pro general category move, especially when it comes out of the remaining 30%? Please share this post with our politicians and everyone you know because I think very few of them actually understand the possible consequences of this ‘masterstroke’ by our Prime Minister. Also follow me on Twitter: @ShivamShankarS and send across your comments and opinions! 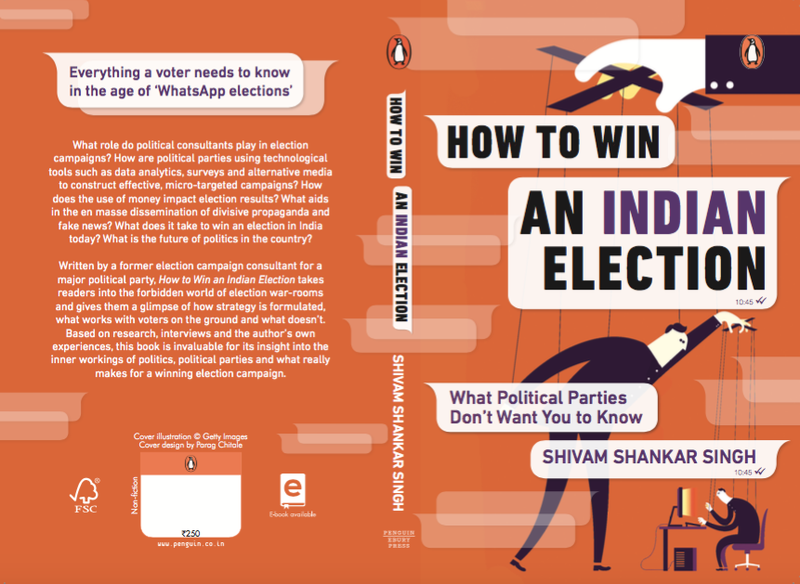 Author of “How to Win an Indian Election” published by Penguin India | Data and Campaigns | Ex-LAMP, 2015–16 | University of Michigan Economics, 2015.